The Left is now virtually absent from the Indian political space. It is barely a contender in any of the coming elections. It is in power only in one state, Tripura. It has virtually no voice in Parliament or influence on policy. Its perspective is unheard of in the media. Its general ideology is either largely unknown or outrightly reviled. Leftist academics have descended into arcane and esoteric debates about poststructuralism and the like which reminds one of the medieval ‘dark age debates’ in Europe about how many angels could dance on the head of a pin. The litany list can continue but suffice to say that the Indian left is in the midst of a historically unprecedented decimation. The impact of this on Indian polity is profound and the revival of the Left is very necessary. This article therefore lays out some suggestions as to how this could be done. These encompass larger questions of strategy as well as practical suggestions on tactics. The first and most fundamental question the Left must ask itself is this: does it want to be in power and bring about a change? Or does it want to be a watchdog and perennially point out the flaws of others? This question has already been answered by the Left and it is of course that it wants to be a watchdog. That is the only explanation for why it is constantly in ‘opposition mode’. When one reads pamphlets or general leftist literature (all references are to the political Left unless mentioned otherwise) the following words are dominant: oppose, reject, resist, smash, destroy, fight against, down with and so on. The general tone is negative and the focus is on what should not be done, not on what should be done. The consequence of this is that it is unclear what the Left stands for, only what it stands against. The political message sent out to voters is thus a negative one that focuses on the flaws of others. In trying to fashion itself as a ‘force of resistance’ it has ended up being seen as a force of obstructionism. The electoral results of this strategy are evident. This is the first and most important step for the Left. It must come to a firm consensus that it wants to be in power. It must then decide on a positive, practical and credible agenda which it can take before the public. This agenda must then be campaigned for using the aforementioned strategy of making it repeatedly clear what it stands for, and reserving criticism for what comes in the way of those goals. 1. Strong social security, public pension plans, free education and universal healthcare. 2. Strong property rights, contract enforcement, and overall ease of doing business. 3. High unionisation combined with strong and responsible industrial associations. Here the German model is apt for India where the government ensures consultations between the two before laws are mandated. Efforts are made to maintain continuity of employment through recessions, and to use slack periods as opportunities to strengthen skills. 4. High direct taxation which specifically targets the rich and has a lower inflationary effect as compared to indirect taxation. Thus this is a basically capitalist model where the government has a strong role in terms of regulation, social security and providing basic services. The Left can adopt this model with suitable alterations for the Indian context. This is necessary as it is a fact that capitalism and a market economy are here to stay in India, at least for a while. There is still plenty of space for growth for capitalism in India and it is a long way off from the crises of overproduction which the late industrial economies of the US and Western Europe are facing. Thus a pragmatic role for the Left would be to focus on being in power and managing capitalism to the best of its abilities. Nevertheless, it must be made clear that this would be a compromise. The Left must retain its ultimate objective: world communism, which is a global society free of national boundaries and all property is publicly owned. This goal is what gives the Left its identity and in this day and age it is vital that this now-forgotten dream be once again revived and propagated to the people. Thus it must be constantly repeated that social democracy is only an intermediary step on the road to world communism. One common pattern in Left parties across the world is their tendency to splinter at the drop of a hat and this is no different in India. The undivided Communist Party of India (CPI) broke up in 1964 into the CPI and CPM. Three years later the CPM further split into the CPM and the CPI-ML. 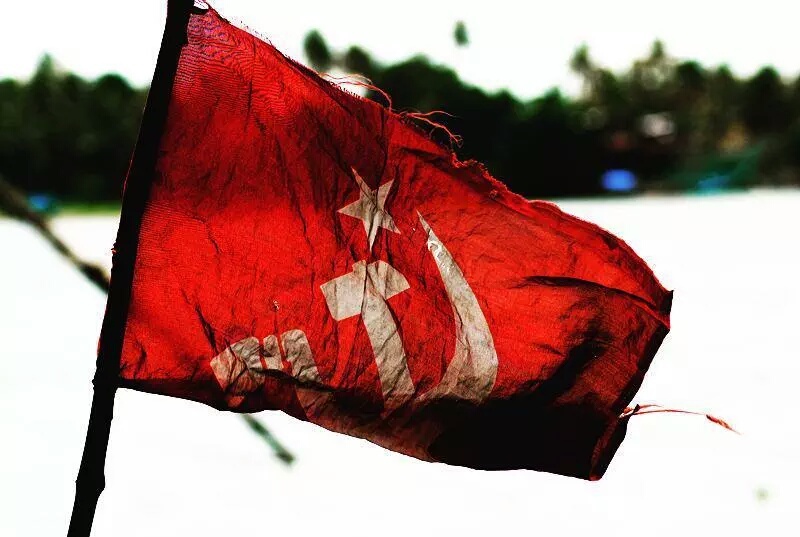 Two years later the CPI-ML itself disintegrated into about 30-odd ultra-Left organisations. Contrast this with the Congress which was founded in 1885 and stayed united through the freedom struggle despite having hard Leftists such as JP Narayan and hard Rightists such as Purushottam Das Tandon. The reason why the Left splits so easily is its doctrinaire approach and emphasis on ideological ‘purity’. Such an approach makes the leaders zealous and even fanatical (think Pol Pot) and unwilling to compromise. This is a dangerous attitude, especially for a democracy like India. The Left must therefore wholeheartedly adopt an approach of pragmatism and compromise. The pragmatic approach would focus onpractical and immediate benefit over my-way or the highway ‘idealism’. It would not hesitate to negotiate, bargain and compromise (of course within limits) to further its objectives. The underlying principle of such an approach is that ‘a step ahead today is better than a giant leap in the future’. With this approach, it must not hesitate to capture power wherever possible. It is far better to be in power and do some good, even if one has to compromise on ideals along the way, than to be out of power, let a far worse party take control and sanctimoniously claim that one’s ideological purity is unsullied. This approach becomes all the more important when seen that the Left is literally facing an existential crisis and faces a very real chance of political obliteration. The emergence of social media offers an unprecedented opportunity for the Left to make their perspective known. However they have not yet taken full advantage of this. The only well-known Leftist on social media is Kavitha Krishnan, which is a shame given the galaxy of Leftist intellectuals. Members of all Left organisations must force their cadre to become active on Facebook, Twitter, LinkedIn (posts), YouTube, Pinterest, Tumblr, WhatsApp, Telegram, Snapchat and whatever other option they can get their hands on. These spaces are currently dominated by the mainstream parties and the Left perspective would be a powerful addition. Secondly the internet has also made it very easy for self-hosting of content either through blogs or crowd-sourced publications. Left cadres and sympathisers must be encouraged to relentlessly and ceaseless make themselves heard on these spaces while at all times retaining the basic principle of making it clear what they stand for, not what they stand against. A third and crucial space that they must capture is Wikipedia. It is a vital source of knowledge today and Left cadres and sympathisers must be trained on how to use and manage content on it. Currently there is a huge presence of right wing ideologues, especially from science and engineering backgrounds, on the site and this space must be reclaimed. The mainstream media frequently ignores the Left and there have been some truly shameful media blackouts of trade union rallies and other mass left events. Nevertheless with regard to TV debates and the like, frequently the Left itself does not engage proactively. This must change and every opportunity must be taken to come on TV. The english media is a particularly important target as it ultimately sets the media discourse. The ultimate strength of the Left however will be their organisational strength and ability to mobilise the masses on the ground. Here it must learn from the Hindutva right which has slowly and painstakingly managed to build a powerful organisational base which is now being used to wreak havoc on Indian society. The Left must get out of its elitist bubble and once again take a ‘back to the basics’ approach and spend time among the people, helping them with their issues such as getting job recommendations, electricity connections, transfers and the like. It is this sort of mundane work that is absolutely essential to strengthening an organisation on the ground, and was well recognised by Mahatma Gandhi who used to ensure that Congress party workers went into ‘social reconstruction mode’ after every mass movement so as to prepare the people for the next one. These were some suggestions for the revival of the Indian Left. Fortunately, the majority of them require only a shift in perception and a change in strategy. It is only the last two which require a lot of effort. The Left still has a very strong place in the hearts of the Indian people, who long for government which is truly secular, pro-poor and most importantly wants to work hard for the development of the country. The victory of the AAP should serve as an inspiration to the Left in this regard and with the right steps hopefully they will once again retain their rightful place as an influential and major political force in India. 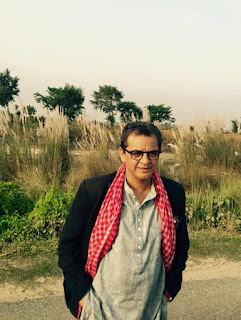 Abdul Muheet Chowdhary (abdulmc@gmail.com) is a legislative aide to B Vinod Kumar, Member of Parliament (Lok Sabha). Views expressed are personal.